Being an expert in the Ottawa real estate, Bob is sure to find the perfect bungalow home for your family! Are you looking to buy a house? Are you thinking of selling your bungalow house in the Ottawa region? Are you located or looking for a property near Grandeur Ave, Creek's End Lane or Tandalee Ave? Maybe on Braecreek Ave, Deerfox Drive or Arthur St, Hollington St, Turtle Point Pvt or Nautica Pvt? As a long time Royal Lepage realtor, Bob Blake has the experience and the contacts to help you buy a home or sell your home in a record amount of time. With commitment and dedication to his clients, he had earned the prestigious Royal LePage Lifetime Award of Excellence. Trust Bob’s team to sell your house for you! As an experienced and award-winning sales representative, he knows how difficult selling your house or finding the perfect house can be. Being nervous is a completely normal reaction, that's why he guides you expertly through the whole experience and provide you with useful insight into the world of Ottawa real estate. He is there to help make your purchase process easier. When you list your home for sale with his team, you get their commitment to provide you with the best possible service. Your listing will be put on the Multiple Listing Service (MLS) giving it instant exposure to the marketplace. It will also be listed on his personal website, as well as Royal Lepage’s, to have even more chances of selling your bungalow quickly and efficiently. When trying to find your ideal house, they will listen to what you are looking for, where you want to be and at what price. Their number one priority is to find the perfect house for you and your family! 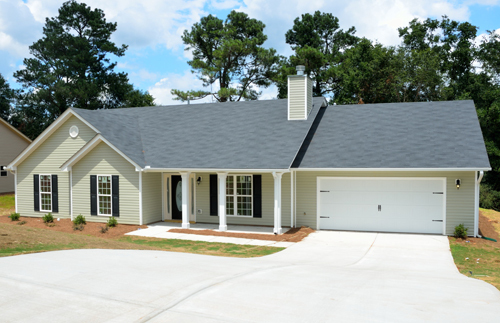 Bungalow type houses are perfect for growing families! When buying or selling real estate in the Ottawa region, rely on a professional service! 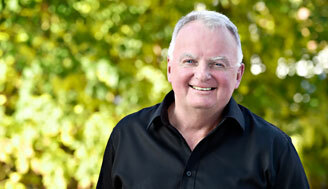 Bob has been a sales representative for Royal Lepage for over twenty five years. With a vast range of bungalows for sale in Ottawa, he and his team will easily find your dream home. No matter what your needs are, they will find the house that is perfect for you while taking in consideration every aspect of your demands, like the budget and your location, and will try to find the best deal suitable for you! Buying a bungalow house is a great investment opportunity, especially in the Ottawa region. Make sure you do things right the first time, when comes the time to choose your bungalow, contact the best team in Ottawa! You want to have a pleasant experience when it comes to buying or selling your property in Ottawa? Bob Blake has a lot of experience in Ottawa real estate and he will help you find the perfect bungalow house for your family. With over 25 years of experience in the Canadian capital region, Bob Blake will guarantee great results. Bob deals with every detail to make sure you find exactly what you are looking for when buying your new home. If you are selling, Bob makes sure it is done quickly so you can sleep tight without worries. Call Bob Blake right now and benefit from his experience and knowledge of the Ottawa real estate market!